As we come of age, we all think that we're the ones suffering, and it's our friends who have the better lives. So, naturally, that would be the premise of the latest sitcom on CBS, Friends with Better Lives. The series follows a married couple (Andi and Bobby), a divorced man (Will), a soon-to-be-engaged couple (Kate and Lowell), and the eternally obnoxious one who finds the flaws in everybody (Jules). So who really has the better life? 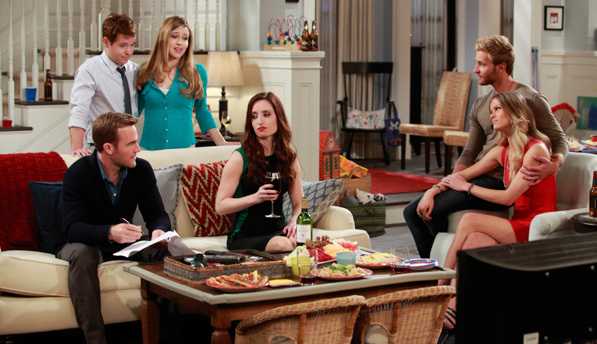 That's what this CBS series tries to answer, in sitcom form. Brooklyn Decker (Jules Talley) is primarily known as a swimsuit model, having appeared in many magazines including Sports Illustrated, but she has also made appearances in series such as Chuck, Ugly Betty, and New Girl. She is married to retired tennis player Andy Roddick. Zoe Lister-Jones (Kate McLean) is possibly best known for her role of Lily on the series Whitney. She has also made guest appearances on three out of four series in the Law & Order franchise, as well as an episode of The Good Wife. Rick Donald (Lowell Peddit) is an Australian actor who has made appearances on series such as House Husbands, The Doctor Blake Mysteries, Underbelly, and Home and Away. 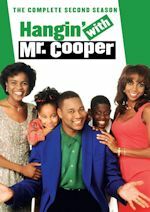 This series marks his American television debut. Majandra Delfino (Andi Lutz) is a Venezuelan-American actress who is best known for her role on the series Roswell. She got her start in Hollywood in the film Zeus and Roxanne, as well as appearing in the short-lived sitcom The Tony Danza Show, and has appeared in episodes of The Office and Boston Public. Kevin Connolly (Bobby Lutz) is best known for his role of Eric on the HBO series Entourage. Before that, he was a regular on the series Unhappily Ever After. He has appeared in movies including The Notebook, Antwone Fisher, Secretariat, and will be reprising his TV role in the upcoming Entourage film. Andi (Majandra Delfino) and Bobby (Kevin Connolly) are married and happily living on their own... well, sort of. They've also got to deal with parenting, and also Will (James Van Der Beek), who recently moved in after his own marital troubles. Bobby is about to throw a surprise party for Andi, but it is something that is going to end in disaster for almost everybody, except for Kate (Zoe Lister-Jones) and Lowell (Rick Donald). In the 21 minutes of the episode that I watched, I mostly found myself confused by who the characters were and what their backstory was, which can be expected to some extent in a pilot... but that is also a solid indication that there is little, if anything, that is exciting about the characters or the series. The premise here is that we've got the married couple, the engaged couple, the one who is dating, and the one whose relationship just crashed. These are, ideally, all distinct characters that should have completely unique personalities. But everything just seemed to sort of mesh together into a horrible mess. Like many pilots, a lot of things happened in the pilot. But in this pilot, maybe it was a bit too much. An engagement and a divorce happening within minutes of one another in the same house (all during a wedding anniversary celebration of another friend, to top it off) was a bit too much for the pilot. It would have been better to see the pre-engagement relationship play out a bit first, followed by a drawn out divorce. Now the series has already turned into two people dating and two couples married married (or one of them is at least close to it). While the pilot did have some great actors in it, I felt that their potential was not utilized as fully as it could have been. While I was never a fan of Dawson's Creek, it cannot be denied that James Van Der Beek is a talented actor... but having him played the desperate divorced guy seemed out of place. It may have felt more natural for Kevin Connolly (another talented actor) to play that role, but instead, he was the happily married guy. Personally, I'm still seeing him as Eric from Entourage, or to go back even further, Ryan from Unhappily Ever After. I can't say that I laughed at all during the entire episode. 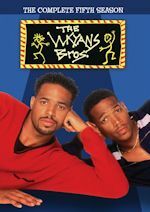 Of course, I'm always willing to give a sitcom the benefit of the doubt if it isn't a laugh-filled riot, because even some of the greatest sitcoms ever have good story telling with few laughs. The problem is, there wasn't a great story to be told here. The pilot attempted to focus on getting quick laughs, particularly related to some sexual content. But the problem is that a lot of sexual jokes are going to get their biggest laughs from a much younger audience than this series could ever hope to target. In all honesty, CBS probably doesn't have a hit on their hands with this series. I'm not sure what can be done about this series to make it a bit more watchable, as it honestly seems to show little promise. Of course, I've been wrong about these things before, but it mostly just feels like something CBS is using to fill the hole left by How I Met Your Mother, except there really isn't going to be anything good enough to fill that hole for the time being. Luckily for CBS, they have a mostly solid lineup, with a majority of their lineup already having been renewed for next season, and plenty of pilots in the works, which makes it unlikely that they'll turn back to this series in the fall. The real question, though, is will they continue to turn to this for an entire 13 episode run. The series will be given a very fair chance to capture an audience with what will probably be a solid lead-in for the debut, but what viewers decide beyond that is to be determined. Discuss the show after you watch it on Monday, March 31 at 9:00PM ET/PT on our message board. TV Land has picked-up the cable rights to Three's Company once again. 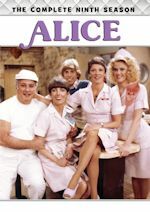 The classic 70s/80s sitcom was not renewed by TV Land after its contract expired in August 2013, but now TV Land has made a deal to bring back the sitcom. It will join other recent returnees including The Brady Bunch and Gilligan's Island. 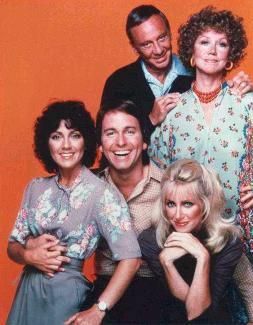 The John Ritter-led sitcom will begin starting this Saturday (April 5, 2014). It will air weekend mornings. Times will vary, but this coming Saturday it will air with a marathon block from 4:30am-2pm and Sunday from 4:30am-12pm. To make room for Three's Company, it seems TV Land will be removing The Golden Girls. Not to worry, as that will still air on the Viacom-owned network Logo. And as we mentioned, Three's Company is also returning in April on Antenna TV, so it's twice as nice for Three's Company this April. No foolin'. Stay with us for continued updates on TV Land and Three's Company! In other news, That '70s Show has quietly started on Nick at Nite a few weeks ago and it is airing every night from approx. 1:24-2:36am (2 episodes). George Lopez is now pushed to 2:36-4:57am, with Yes Dear rounding out the night from 4:57am-6am. Old Christine and My Wife & Kids are no longer airing on the network, but both can be found on other Viacom siblings (NickMom and BET, respectively). Hangin' with Mr. Cooper remains from 6-7am. 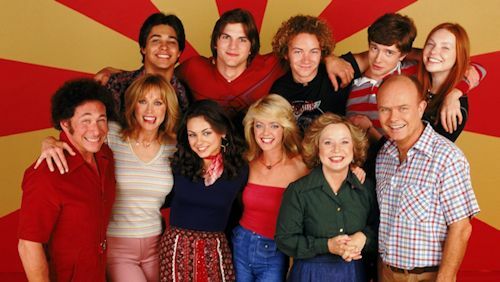 Back to That '70s Show, with it now airing on Nick at Nite, it is still airing on TV Land as well. 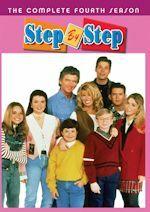 TV Land has not removed it and will continue to air it early mornings after 4am and on weekends after 2am. Stay with us for continued updates. Total Viewers: #1. CBS 9.45 million (+9% from first four nights Week 26); #2. ABC 7.21 million (+3%); #3. NBC 6.93 million (-9%); #4. Fox 5.72 million (-4%); #5. The CW 1.69 million (-8%). For previous week's final ratings, Week 26 (3/17/14-3/23/14) had CBS win the week in 18-49 with a 1.8 rating, followed by NBC's 1.6, ABC's 1.5 and Fox's 1.3. In total viewers, CBS lead this with 7.95 million, beating ABC which did 6.42 million, NBC followed closely with 6.34 million, and Fox trailed with 4.3 million. Season to-date (9/23/13-3/23/14) in 18-49, NBC is on top with a 3.0, over Fox's 2.7, CBS is next with a 2.4, and ABC at a 2.1. In total viewers, CBS is still on top with 10.81 million, then NBC is creeping in with 10.01, Fox is at 7.91 and ABC is at 7.45.